Oakland City Council may consider a city boycott of companies that help construct President Trump’s U.S.-Mexico border wall, after council member Abel Guillén introduced a resolution at a meeting on Thursday. The proposed legislation would urge city departments to refrain from entering into new contracts with businesses that support, with goods or services, the creation of "The Wall." Trump signed a presidential executive order last week, on January 25, that mandates the building of the wall. Guillén's action comes as East Bay cities and California’s Legislature gear up for a political fight with the feds over their sanctuary-city status and funding. 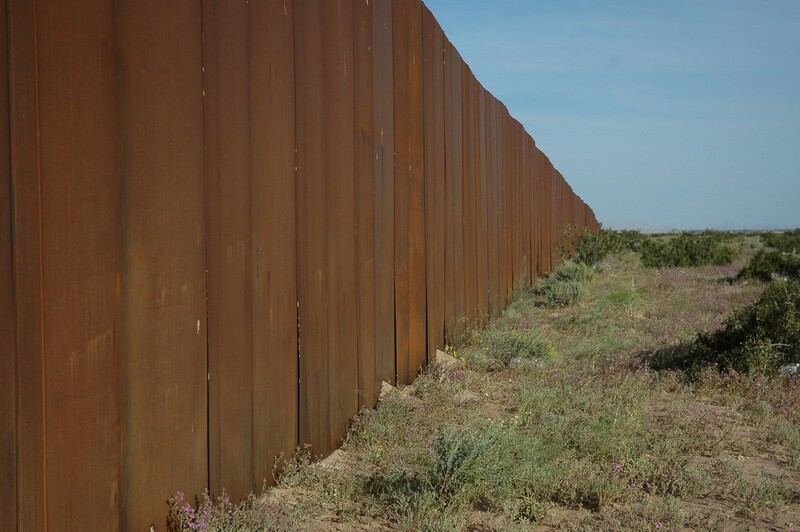 “We want to send a message to other cities in the state of California ... to come out and say that our tax dollars should not be spent on the wall,” Guillén said. The resolution is scheduled for review by City Council’s Rules and Legislation committee on February 28. If approved there, it will be on the regular Council agenda in early March. It's unclear what types of companies might be affected if such a boycott were implemented, but Guillén said the primary goal is to send a statement. “One of the major tools that we have is our financial and social leverage,” the councilman told the Express. Back in 2010, Oakland City Council instituted a similar measure when Arizona passed Senate Bill 1070, a highly controversial anti-immigration law. Oakland boycotted travel by city employees to Arizona, and urged against city contracts with businesses based in the state. 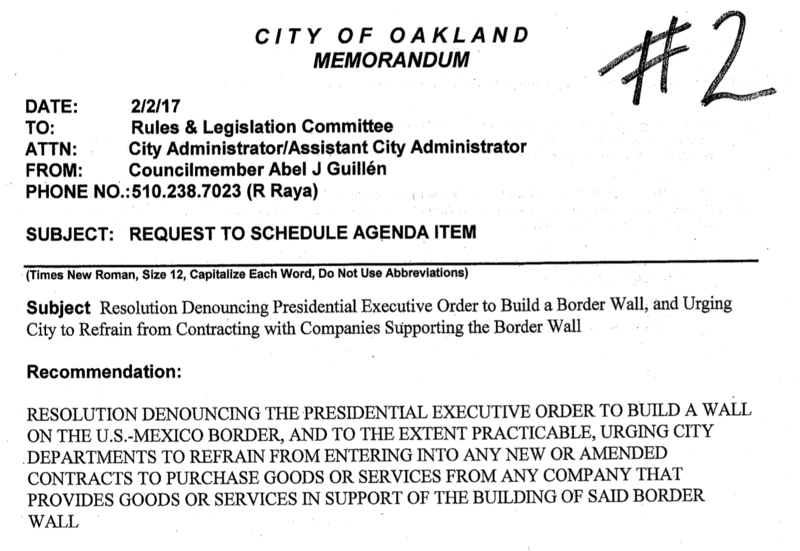 Oakland is the first city to initiate the process for a potential financial protest of Trump's wall, according to Guillén, although the city of San Francisco has been talking about introducing a similar measure. Lawmaker says Senate Bill 320 is crucial, given GOP attacks on Planned Parenthood.